Divorce is an unfortunate part of life. For whatever reason or another, it just doesn’t work out. Ultimately, you’ve both done what you can but it’s for the best to just move on. Divorce also affects numerous parts of your life. From your social life, to your personal life, and to your financial life. 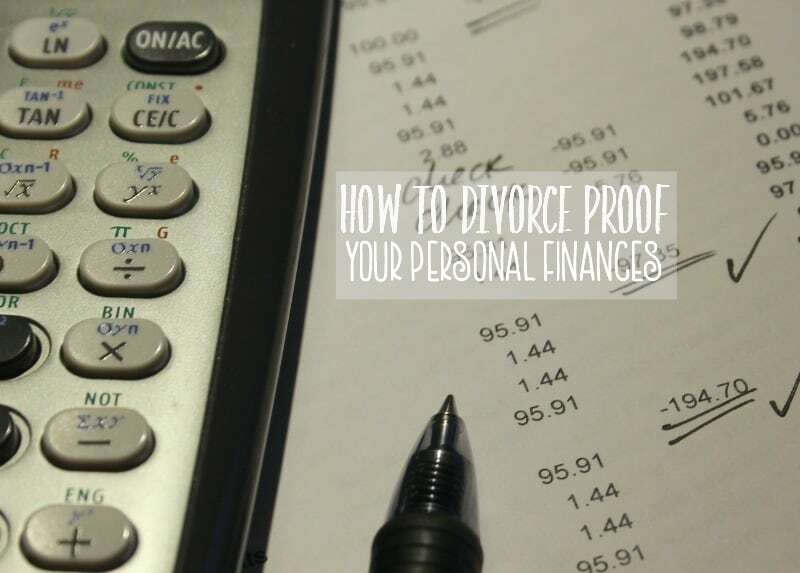 If you’re not careful, divorce could very negatively affect your financial life. 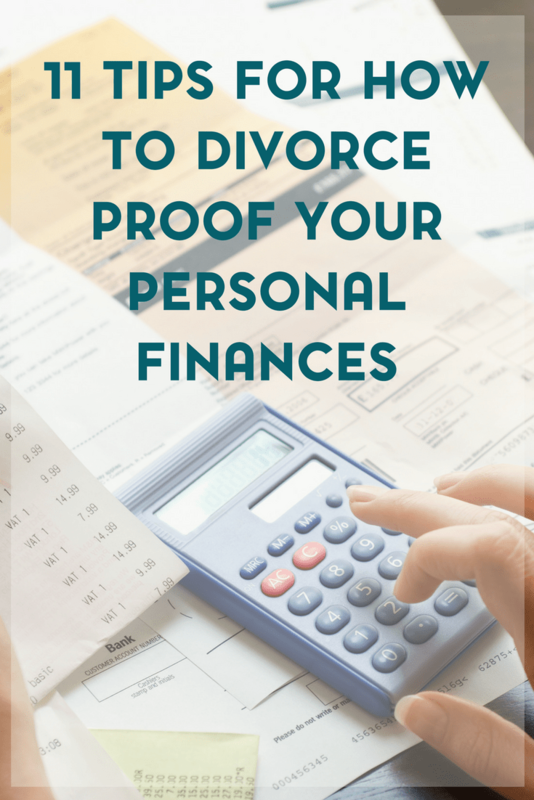 Today, I want to share some tips on how to divorce proof your finances so you don’t end up in a financial mess. Many things may seem uncertain when you’re facing a divorce and this may even include your financial future. You have to make sure that you are protecting your financial security for later. If you’ve recently divorced or are going through a divorce, one of the important issues that you should settle is how any joint debts are to be handled. This includes mortgages on a jointly owned home and any joint credit cards that you have. 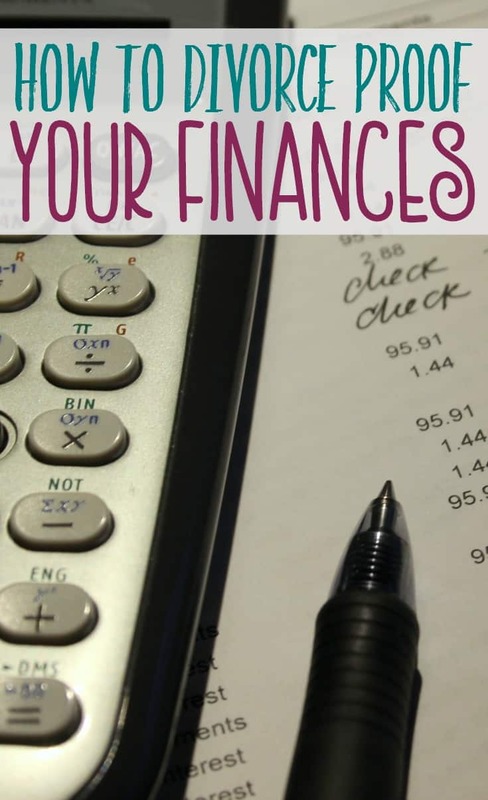 You also need to be aware of how failure to pay those debts on time will affect your credit rating – even if your divorce decree states that you are not the party responsible. 1.Reduce unnecessary expenses as soon as you can. Meet with your spouse and agree to cancel utilities and other bills. You will probably need to have money later on and this is a way to save money. Sell off your personal property that you do not need or want anymore. You can do this now to avoid losing it later on. 2.Cancel all of your jointly owned credit cards. You both should agree to cancel the cards and get separate ones. You need to cancel the cards because the spouse can charge up all kinds of different charge on the cards and you will get stuck paying them back. Canceling the cards now can save you money that you will need to have later on. There are two kinds of credit card accounts – individual and joint – and each is seen differently in terms of credit history. Don’t assume that just because you have a credit card with your name on it the account was a joint account. The account holder of an individual account may designate ‘authorized users’ and issue cards in their name, but the account holder is still the responsible party for the payment of the bill. If you authorize a user on an individual account, the account may show up on both your credit report and theirs. If you have a joint account, it will appear on both of your credit reports. If you divorce, you are both responsible for any bills on joint accounts – but you may also be responsible for any bills on individual accounts held by your ex-spouse if you live in a community property state. 3.Freeze all joint credit accounts immediately. This will prevent the credit cards from being run up further and hurting your credit further. Most creditors will not close an account with an outstanding balance, but will freeze it at your request. 4.Remove your ex-spouse as an authorized user from any individual account that you hold. It’s important that only you will have the authorization to charge items on your individual accounts. This will help protect your accounts, and will ensure that you have your own credit after the divorce. 5.Ask credit card companies to convert joint accounts to individual accounts in the name of the person who will be responsible for paying them. The credit card company is not obligated to do this. They may require that the balance be paid in full, or that the individual apply for credit in his or her own name, and then transfer the balance. 6.Allocate the debts for repayment responsibility. 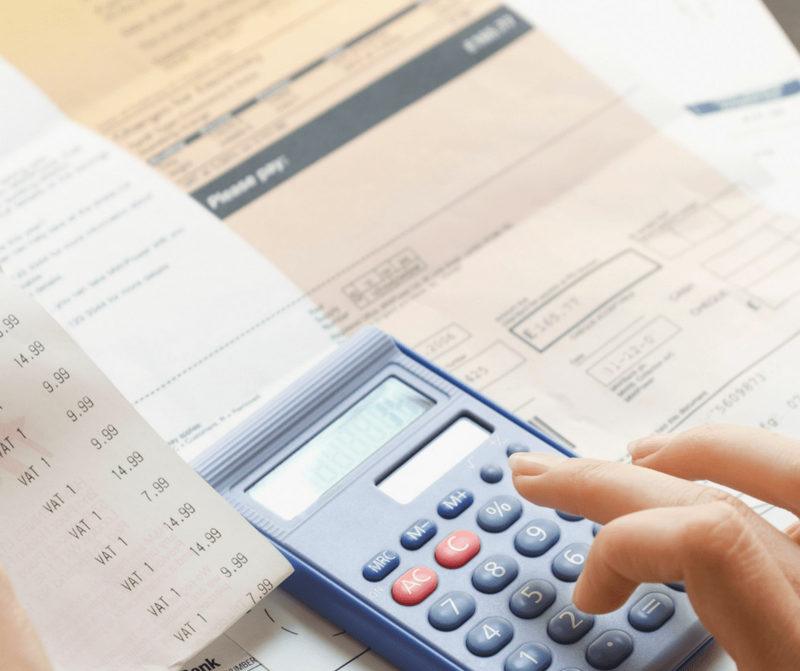 The best way to allocate debts is for each of you to agree to be responsible for repayment in full of specific accounts. Be aware that any agreement between the two of you is not binding on a third party – the credit card company. If your ex-spouse agrees to pay an account and then defaults, it is still legally your responsibility to the credit card company to pay it. 7.You may want to separate the jointly owned bank accounts. If you have bank accounts together, you may want to divide the money first. Even if things may appear to be amicable, you just never know what will happen. Your spouse may decide to go and take care of the money on their own and leave you with nothing. 8.If you have outstanding bills for the home, explain this to the spouse so that the arrangements can be made to pay for them. If you do open up a different bank account, consider opening it at another bank. Do not stay with the same company. 9.Stop contributing to combined accounts like 401K and pension plans. Telling your place of employment usually does this. Make the necessary arrangements so that your money is not being added to this account. You have to do this until you find out what will happen to those accounts and who will benefit from them. 10.Keep your job or try and find one. If you’ve thought about working at home, this may be a good time to start. You have to make sure that you are protecting yourself and able to raise your family. If you are not getting any income from your spouse, you will have to do something to support your monthly needs. 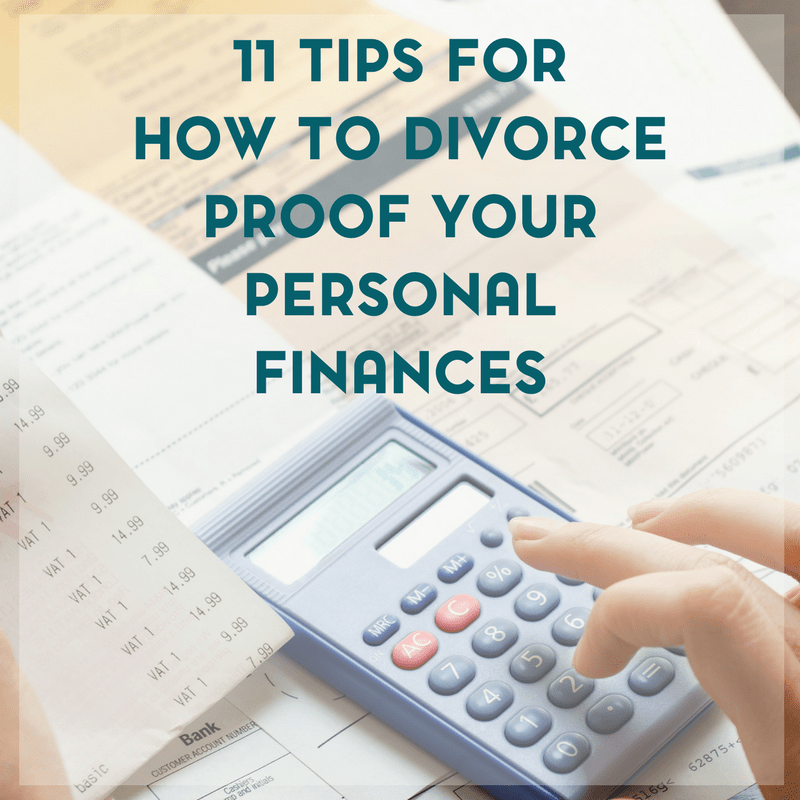 You may want to ask your ‘soon to be ex’ if they can help you financially until the divorce proceedings are over. This is only recommended if you are ending the divorce in a good way. If you are fighting over everything and not getting along, you need to contact your attorney and have them ask for you. 118.Another tip that I can offer, is to maintain personal bank accounts before you’re married. Though it may seem like a situation of his money/her money instead of his/her money; it may just help keep spending under control. If you do have a joint account, be sure that both of your names appear on all necessary documents. Getting married is a thrilling, happy time and though a divorce may be the furthest thing from your mind, it couldn’t hurt to divorce proof your finances from the get go. But, even if you don’t, it’s never too late to start.